James Ward was probably born in England. He died at Randwick in September 1915, possibly the son of Christian J and Ann Ward. He was buried at Waverley Cemetery. According to family sources, James Ward arrived in NSW about 1872. He may have been the James Ward who arrived with his wife on the Samuel Plimsoll in 1874, aged 24, but this is unconfirmed. By 1885 he was established at 414 Crown Street as a whitesmith and stove and range manufacturer. In November 1890 he gained a contract from Sydney City Council to supply cooking apparatus for the Centennial Hall. By 1891 he had a showroom at Crown Street and his factory, Allington Works, at 15 Marshall Street, Surry Hills. As well as a stove maker, he advertised himself as a hot water engineer, plumber, coppersmith, and iron-founder. His business was later taken over by Metters Ltd. By 1895, James Ward, JP, was living at Stanley Street, Randwick. His house was named Allington, possibly a reference to his native place. 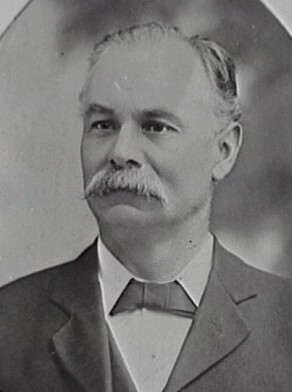 James Ward was Alderman for Flinders Ward, 7 December 1900 to 30 November 1902 and 1 December 1906 to 30 November 1909. He was a member of the Works Committee in 1901, the Staff and Labour Committee in 1902, the Fruit and Vegetables Special Committee in 1907, the Electric Lighting Committee in 1909 and the Finance Committee in 1901, 1902 and 1908.